When it comes to helping our customers pick out a flashlight, the phrase “it’s not what you do, but how you do it” frequently comes to mind. 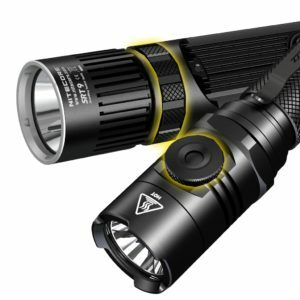 Many times it’s not about picking out the brightest or longest throwing flashlight, but asking yourself, “Will I be able to get this flashlight to perform the way I want it to, when I need it to?” We put together a break down of the most popular flashlight user interfaces out there to help you find a flashlight you’ll enjoy using day in and out. Tail switch flashlights, as the name implies, are controlled entirely by a button or buttons located on the tail end of the light. For single button tail switch flashlights, mode adjustment can be handled by either a loop (low-mid-high-off) or 2-step switch (press fully for on/off, half press to cycle outputs). Other tail switch flashlights will include a secondary paddle switch that can control output and/or give direct access to specific modes. The advantage of putting the controls on the tail is the controls can be comfortably operated by your thumb when holding the flashlight in an overhand grip or cigar grip. You also have the benefit of not having to switch grips to change modes for one-handed operation. 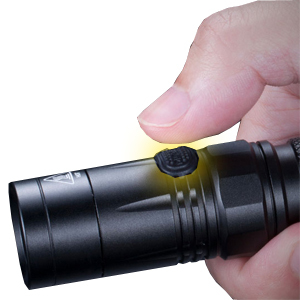 Some flashlights with tail cap switches leave the business of brightness adjustment to a twisting/loosening action on the head of the flashlight. This minimalist control style allows you to cycle through brightness outputs by repeatedly tightening and loosening the bezel of the light. Twist controls are popular in tactical and duty flashlights where one mode or two modes will be used for the majority of tasks. 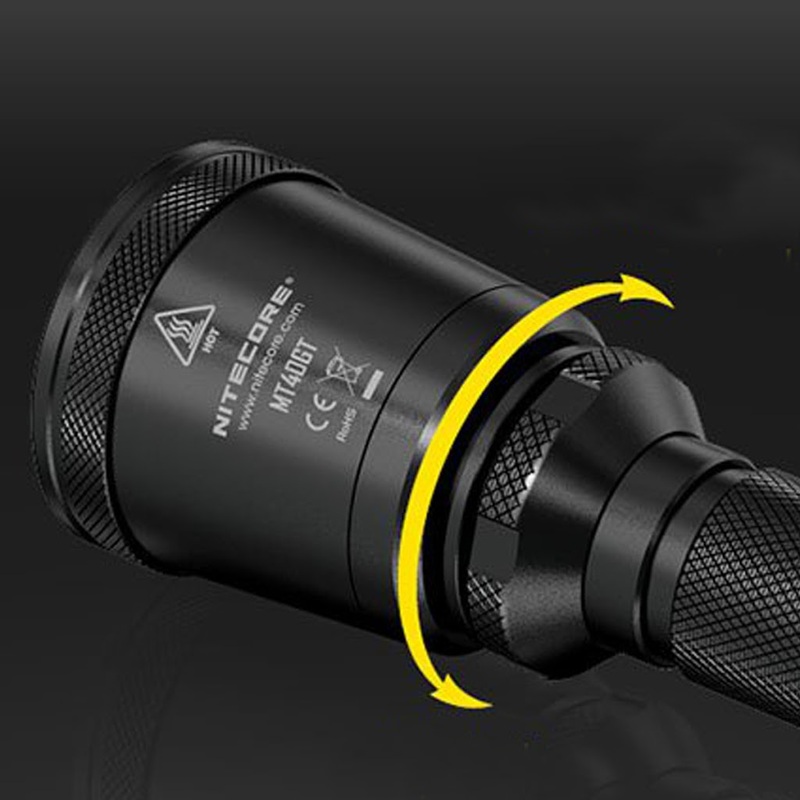 This type of flashlight user interface gives you both reliability and simplicity in one. Side switches, you guessed it, are located near the bezel of the flashlight and place the controls within easy reach of your thumb when holding the light in a regular grip. Flashlights with side switches may use a single button to control on/off and brightness adjustment or a dual button system that puts on/off and output adjustment on separate buttons. By removing any switch from the tail of the flashlight, these lights can often be magnetized for more functionality and can easily tail stand. 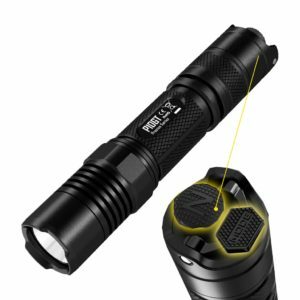 If you’re looking to get the best of both worlds, you might want to consider a flashlight that employs a combination tail switch and side switch user interface. These flashlights use a tail cap switch to control on/off output and leave the brightness adjustment controls to a side switch. If you plan on using your flashlight for a variety of different tasks or just like to have the most choice of control options, you’ll want to consider a flashlight with this type of user interface. If you don’t want to be limited by a handful of preset brightness outputs, you’ll love the control you get from rotary ring flashlights. 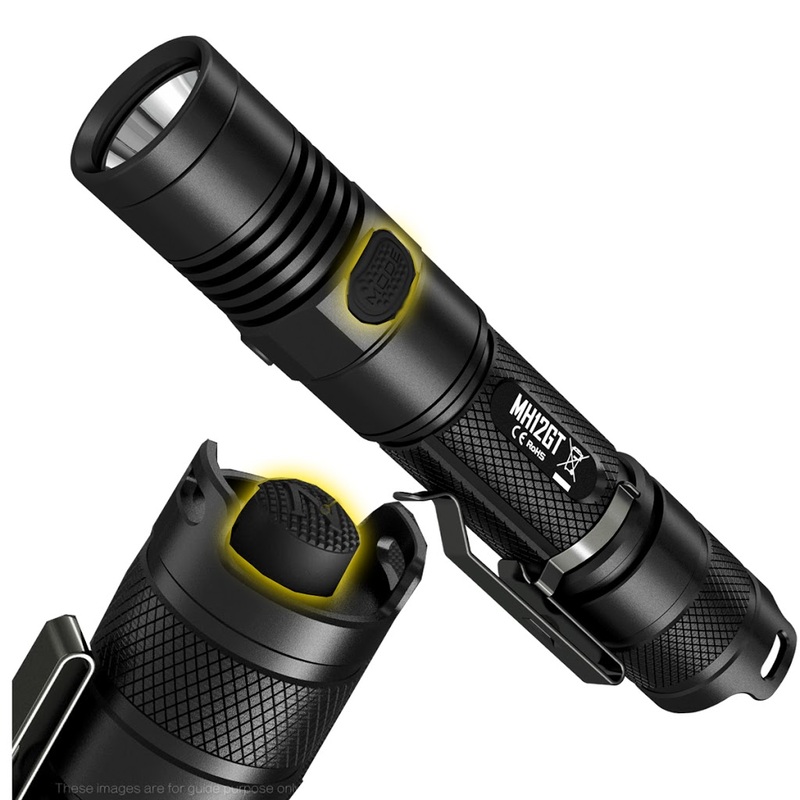 These flashlights feature either a rotary dial or a control ring around the bezel which allows for infinite brightness adjustment within the flashlight’s maximum and minimum output range. Some flashlights like the EC22 will turn on/off through the rotary switch while others, like the SRT9, have an added tail switch for on/off. Thanks Kirk and great suggestion!